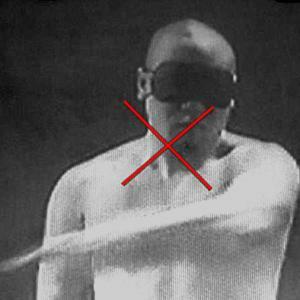 “Body Memory” is a video installation work. 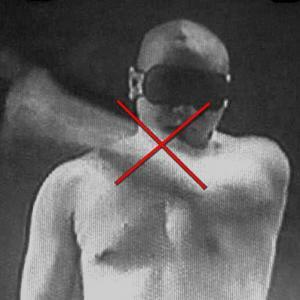 In it, I blindfold myself, which suggesting the interdiction of visual sense, and continually make a cross in the air with my finger while pointing at the imagined centre of it. The image is projected onto a translucent plastic plate hung in the air. A red cross is drawn on the corresponding point located on the plastic plate. This “visible” reference becomes a confirmation of the “invisible” cross drawn in the air by means of imagination and body memory. In daily English, we usually use the expression “I see” to mean “I understand”. This more or less reflects that in the process of constructing meanings, we are conditioned to rely too much on visual perception. 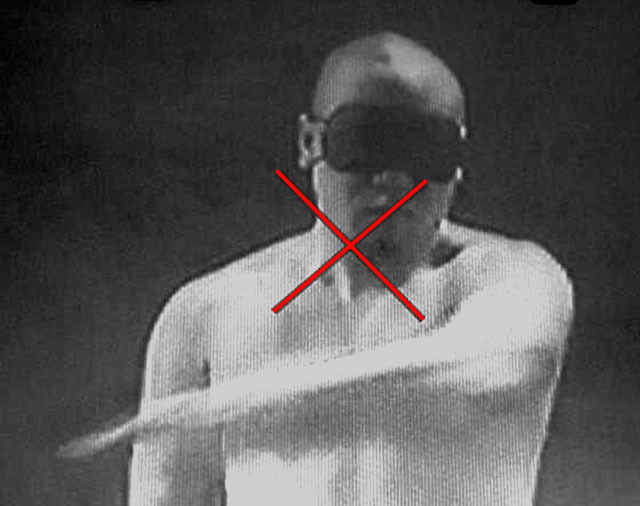 The prohibition of the visual sense through blindfolding in “Body Memory” forces me to concentrate more on the overall coordination of other senses. Through repeated practice, the specific actions change from conscious coordinated body senses to a subconsciously conditioned reflex action that becomes a body memory that does not involve a cognitive function of the mind. 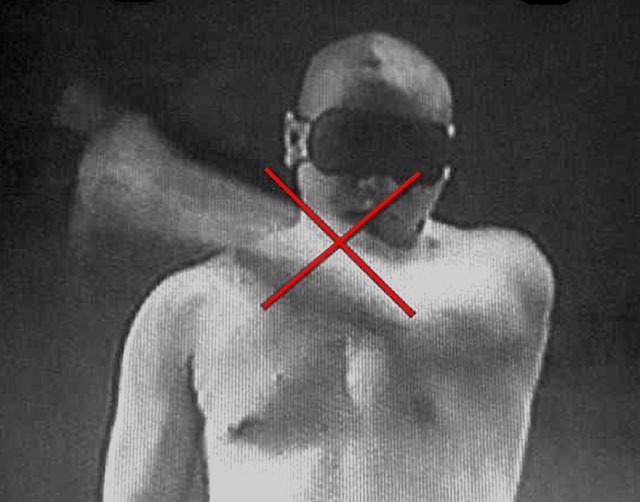 As in typing or playing the piano, skilled operator can strike the correct keys without using the eye at all. With regard to the construction of imagery and media, the work produce distance and maintain the relationship at the same time. I deliberately separated and overlaped the image in the videotape (blindfolded, I make crosses with my finger) and the image that exists in the real world (the red cross on the plastic plate), in order to break the continuity of sensory perception. This two-folded image is formed in different time and space and my perceptual experience of the two was also broken. It subverts perceptual experience and its extension on the conscious level. The sense of absurdity in “Body Memory” again returns to a more primitive imagery field by means of the reference to a transcendent consciousness.